Problem Solvers. Trouble Makers. Catalysts. Improving mathematics programs should be fun. We are a company that enjoys teaching, learning, traveling, and finding a really good math problem to solve. The members of the Callahan Consulting team draw from their own classroom, teaching, and life experiences to help schools and teachers from around the world with issues ranging from assessments, technology, curriculum, instructional practices, and even difficult parents. We work hard, and we don’t forget to have fun in the process. An eternal learner and lover of books, he enjoys making connections between his knowledge and the world around him. He loves to marvel at the beauty of the universe on a hike through a National Park or through the lens of his telescope. Dr. Patrick Callahan began his career as a mathematics professor at the University of Texas at Austin while doing research as a topologist. After several years of teaching at the university level, he became involved in education research. During this time, he helped revolutionize the university’s secondary teacher preparation program by helping design and implement UTeach, a secondary STEM-focused program that has gained national recognition and has been replicated across the country. Over the past two decades, Dr. Callahan has held a variety of positions in different areas of mathematics education, including the Executive Director of the University of California Science and Mathematics Initiative, a Senior Research Scientist at WestEd, and the Statewide Co-Director of the California Mathematics Project. He is also a content leader for Illustrative Mathematics, as well as a member of the Smarter Balanced Assessment Consortium’s Item Quality Review Expert Panel. As a mathematician who has been deeply involved with improving education for twenty years, Dr. Callahan offers broad experience, multiple perspectives, and relevant, practical content for teachers and administrators. A world traveler and adventurous eater, you can find her swimming, biking, or running; training for her next event. She’s passionate about exploring new lands and cultures and connecting with people through education. Jessica Balli is a mathematics educator with ten years of classroom experience. She has taught in both a small charter setting and a large, comprehensive high school, teaching a wide range of math courses. Jessica has taken on a variety of roles over the past several years as a leader in transitioning to the Common Core at the school, district, and national levels. She has worked on several grants which have allowed her to work closely with teachers and mathematics education experts in order to create meaningful and authentic classroom experiences for students and teachers. Jessica is a reflective educator who enjoys sharing her trials and successes with other teachers. Jessica was raised in Jakarta, Indonesia and incorporates her international experience when helping teachers make their classrooms more inclusive and engaging. Inspired by a challenge, the classroom, the hiking trail, and the volleyball court are where she feels most alive. She loves a good adventure, a good game night, a good meal, and a good laugh. Solana Lee is an elementary teacher with nine years of classroom experience teaching grades K-6. Raised in Santa Barbara, California, Solana has taught in public schools both in Philadelphia and for the last seven years, in San Diego, spreading her love of learning (especially math) across the country. Solana was a Mathematics Impact Teacher which required someone willing to embrace teaching the entire scope of math content from Kindergarten through 6th grade with creativity and enthusiasm. Her lessons prioritized making mathematics engaging and relevant and often incorporated aspects of art, science, and the outdoors. She also spent several years in a self contained 5th grade classroom where mathematical discussions, challenging problem solving opportunities, and old fashioned fun were always afoot. Solana recently got engaged to her best friend and the love of her life in Yosemite National Park. She has not stopped smiling since. An eternal adventurer, yogi and educator; she can often be found outside, reading a good book or cooking a delicious meal with friends. She sees education as the great equalizer and works to bring meaningful, positive experiences to those around her. Jade is a mathematics educator with 12 years of classroom experience. Jade teaches high school math in a project based learning environment. She teaches to her passions and creates meaningful and authentic math curriculum and projects for her students. In the math classroom, Jade likes to emphasize the importance of the how and the why behind the mathematics concepts as well as incorporating writing whenever possible. Outside of the high school classroom, Jade has been planning and leading PBL and Common Core math workshops for teachers both domestically and internationally for the past 7 years. She is an adjunct faculty member of the HTH Graduate School of Education for the past 4 years helping new teachers to develop the integral skills needed to be successful educators. Jade was a UCSD Noyce Master Teacher Fellow (2012-2016) and is currently among the first cohort of Desmos Fellows. Known to many for his bottomless stomach, Adam has made a habit of enjoying the finer things in life: bucatini al amatriciana, beouf bourguignon, turkey burgers, unagi and anago, pumpkin curry, and the occasional warm chocolate chip cookie. He’ll have to learn to share because Adam and Mrs. Green are expecting their first child in January 2017. Adam has been teaching math and science in Sonoma County for six years, teaching everything from Algebra 1 through AP Calculus as well as Conceptual and AP Physics. Since 2012, Adam has been experimenting with new ways to present material in the math classroom with an emphasis on exploratory learning and on application of knowledge. Most recently, he led his math department in the creation of a district-wide standards alignment with an associated Standard Based Grading guideline. Off campus, Adam has been active at the local college Sonoma State University. In the fall of 2012 and the fall of 2013, he brought his exploratory learning and application emphasis to the college classroom, teaching sections of remedial math to incoming freshmen. During the summer of 2015, Adam was part of a team of local teachers to design and implement a weeklong seminar on integrating Math, Science and Language Arts in the classroom through Project-Based Learning. Additionally, Adam has been coaching high school basketball, track, and golf for the past six years. He has recently given up his position as the jump coach as well as the varsity men’s and women’s golf programs in an effort to concentrate fully on varsity men’s basketball. A mother of two and an avid dancer, she is fueled by new challenges and opportunities. She loves a good game of softball, dining with good company, and exploring new lands. Rachel Lasek is a Mathematics and French teacher at a rural, public high school in Northern California, with over ten years experience. Rachel spearheaded a west-county wide collaboration, bringing 17 districts together to create mathematical coherence for grades 6-12. 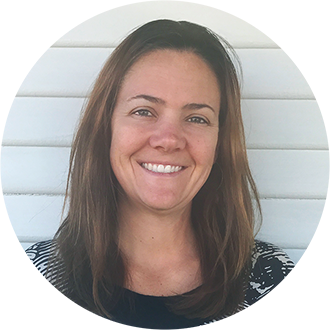 Rachel has written and is currently implementing her school’s Integrated Mathematics Program, while working with dynamic teachers from around the country in an effort to improve mathematics classroom experiences. Rachel grew up in beautiful Wine Country in California and as a progeny of a Physics Teacher, she knew that education would always be a major part of her future.